The headmaster of the Hadassah Primary School in Mbale, Uganda gathers about 30 teachers and students, and squeezes them into the small white van so they could be the first to experience a motorized ride to school. He slides into the front seat and immediately pulls out his camera to take images of this poignant moment. After several minutes of driving along the rough dirt road, the children sitting in the back seats break out in song, and thank The Walking School Bus (TWSB) for their gift. “It was like something from a movie — just me and 29 Ugandans driving and singing along a rural dirt road,” said Michael Rayment, an Australia-based photographer. In July 2017, Rayment travelled to Uganda with Photographers Without Borders to document the work of TWSB. He recalls the day TWSB was given its first- ever school bus as his most memorable moment of the trip. TWSB is a non-profit organization based in Vancouver that aims to expand access to education to students in developing countries. The organization’s founder, Aaron Friedland, found his inspiration on a trip to Uganda in 2009. There, he saw students walk over five kilometres to and from school every day in pursuit of education. 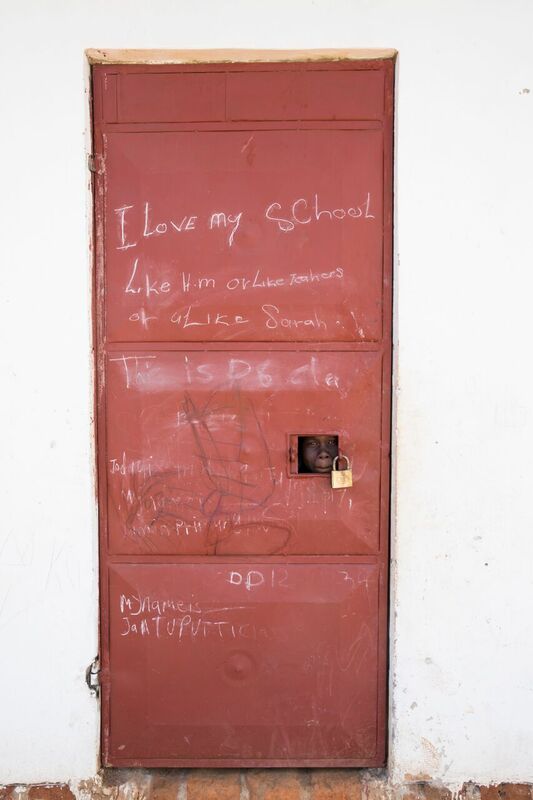 “I thought about the luxury of access to education and how easily I had always gone to school and had taken that for granted,” said Friedland. “When I started to realize there are so many other students out there who didn’t have simple access to education, it became something that I was quite passionate about,” he added. A few years later, after completing his Master’s degree at the University of British Columbia, he returned to Uganda to begin his research. After spending much time with the students, he learned that the barriers to education go far beyond distance. “I realized that none of the students were eating food [throughout the school day]. They are not eating food because they simply don’t have enough to get them through the hump of the day,” he explained. With this in mind, Friedland founded TWSB with a holistic approach, incorporating access to school, proper nutrition, and improving the core curriculum. Every initiative starts with rigorous research, which has earned TWSB recognition from the Business Insider. “Everything we do starts with research. Once we understand that the method [of implementing change] does no harm and will create a positive impact to the community, we will develop the model that supports transportation to help students get to school,” explained Friedland. In addition to safe and reliable transportation, the organization also provides students with nutritious food by building chicken coops and water catchment systems, and setting up community gardens. For Friedland, the school bus is only a first step. By 2020, the team is looking to grow their research base from 30 to 80 researchers, and to partner with 30 additional institutions in developing countries. As for Michael Rayment, his experience with TWSB has inspired him to do more for the community. He is determined to use his extensive background in photography and social documentaries to help build community awareness about social inequality. “I have taken away many values and lessons from this assignment, such as wanting to do more using the power of the camera to tell people's stories. I hope my images will create awareness and aid in increased funding to empower rural communities to become self-sufficient,” he said. 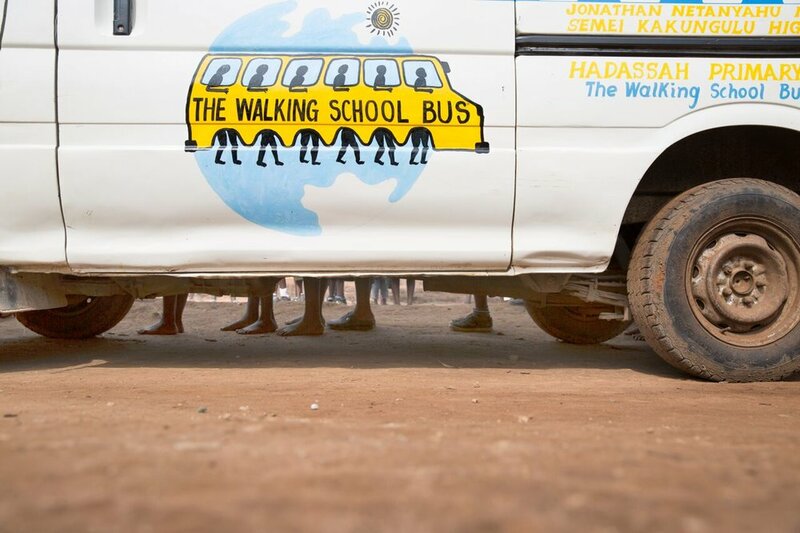 Click here for more information on the Walking School Bus, and how you can support their work.